I Come with Baggage is an ongoing exploration of the movement of people and the objects people choose to carry with them as they migrate, relocate, holiday, flee. 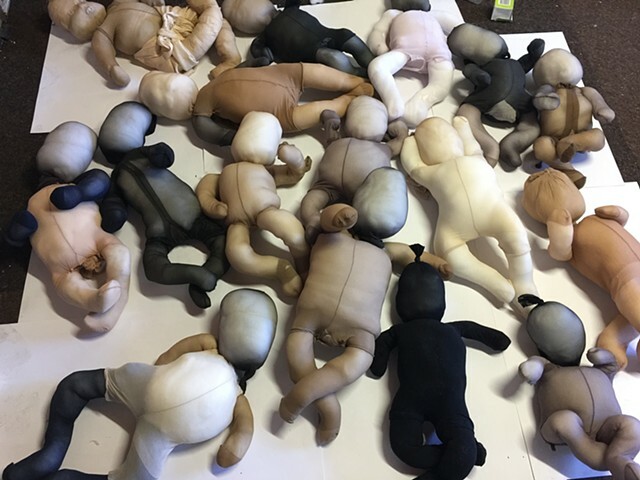 Not just worldly objects that carry value beyond their price tags but inner objects wrapped in memory and aspiration, and the hope that a child can bring. What we bring, what we leave, what we value, what’s important, what’s damaged. What we take without our knowledge wrapped in beliefs or views of the world imposed upon us, carted around like excess baggage. 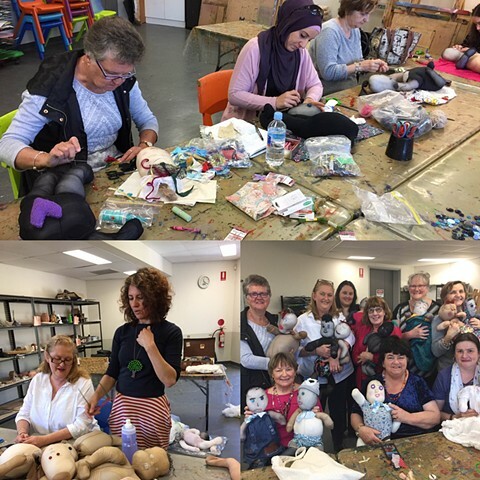 Including people into different parts of the making process is what we loved about this work - a group of women from different nationalities in a sewing group gave character to the soft form babies, donations of recordings of babies and singing, an inner west metal worker cutting the form of the suitcases and women sitting in our backyard stitching them together. 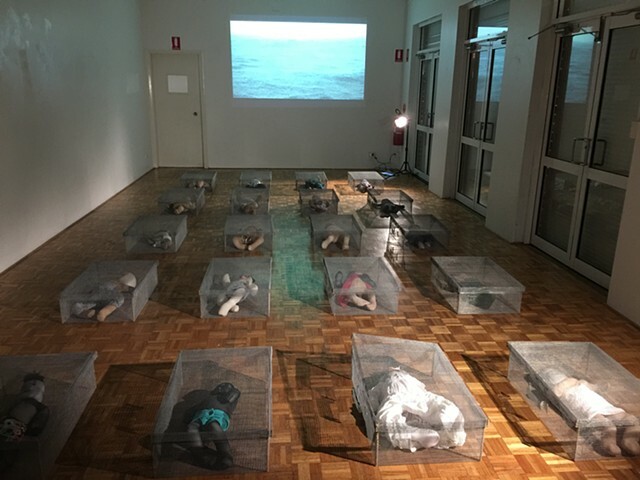 The artists, both born in Australia, both from families that moved distances either fleeing from or moving towards – represented by each of their mothers, Helen Kwasner and Lorraine Catsi - singing. 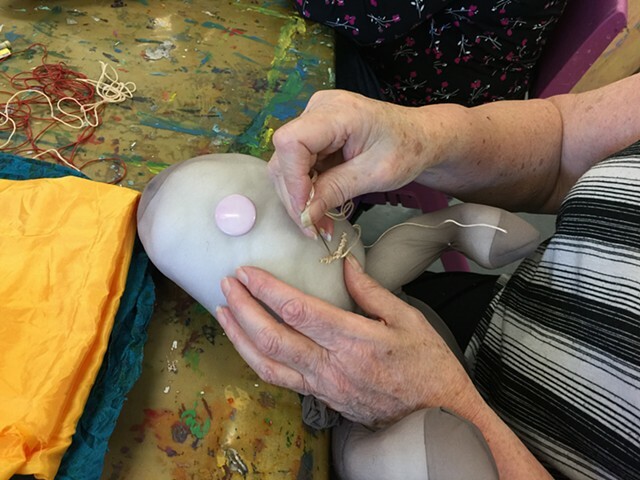 Anne and George are Inner West artists who collaborate on installation work that interplays with our respective backgrounds - Anne with ceramics, drawing and sculptural and George bringing his media, performance and writing. We come together artistically from these opposite directions but both our work is imbued with story - Anne looking via objects and George via words, sound and performance. We’re both driven to have an audience ask, “what’s the story behind this?”. 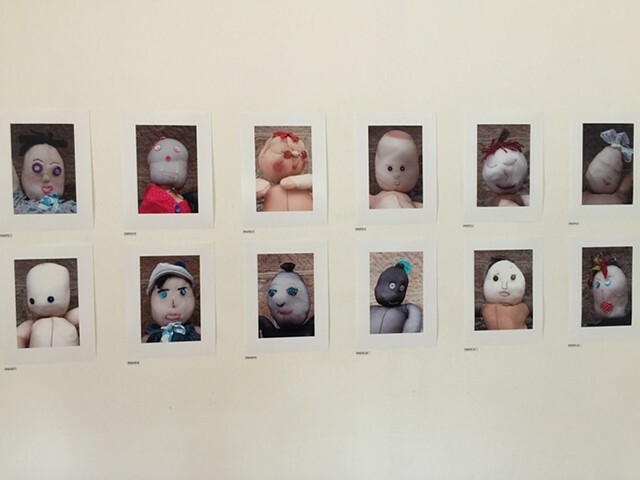 We see this art project expanding beyond the 20 suitcases to many more with aspirations to have it travel. Supported by Inner West Council through a grant and use of Chrissie Cotter Gallery. 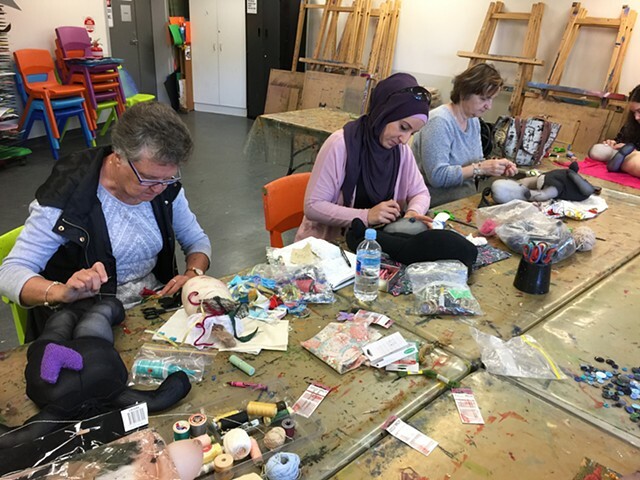 Thanks to Vandana Ram for organising access to the woman of the Canterbury-Bankstown Arts Centre sewing and craft group: Judy Dobbie, Carolyn Worthington, Hala Hasan, Darinka Talevska, Kathryn Sirr, Joanna Mazgay, Dianne Wilson, Barbara Hutchins & Sandra Dale. For creative input - Emily Handsley-Delves and serious stitching - Cathy Lennox, Ruth Cox, Carol Hamilton, Jackie Chowns & Jill Goodwin. Babies Lily Wren Mitchell and Zac Anagnostopoulos for their best crying voices. Helen Kwasner and Lorraine Catsi for their singing. Rod Nash for cutting the wire and folding of the suitcases. Thanks to UTS. Young Henrys for beer sponsorship. 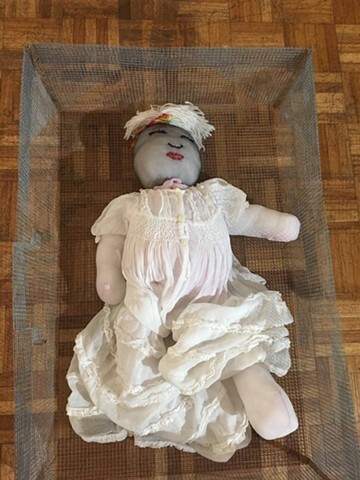 mixed media, including stockings, wire and stuffing. 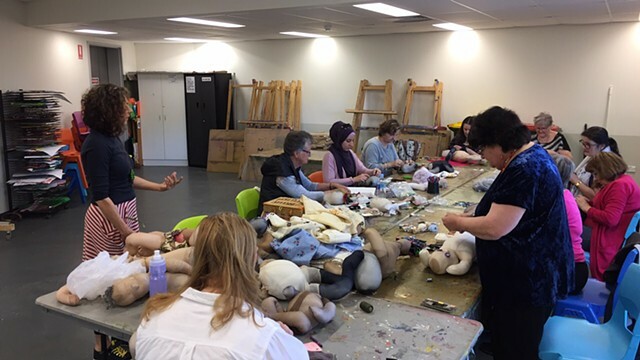 Canterbury/ Bankstown Arts Centre Women working on soft sculpture babies.